POP 2018 – Save the Date! It may still be winter but the days are lengthening and spring is just around the corner and that means one burning question in the minds of cyclists (and cycling supporters) the length and breadth of Scotland: When will this year’s Pedal on Parliament be? 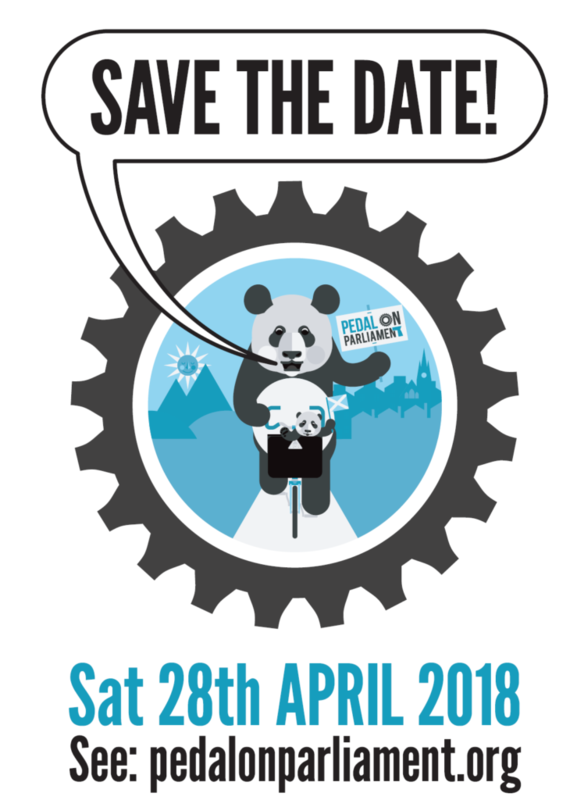 Well, wonder no more – we are planning to hold it on Saturday 28th April (pleasingly this is the same date as the very first PoP). So far we can confirm that it will take place in both Edinburgh and Inverness and very likely in a couple of other places too, so watch this space. Since the last PoP, we’ve seen significant political movement – not least the doubling of the active travel budget announced in this year’s Programme for Government. But we’re not resting on our laurels – and there’s still a host of reasons to come out in support of safer cycling in Scotland. 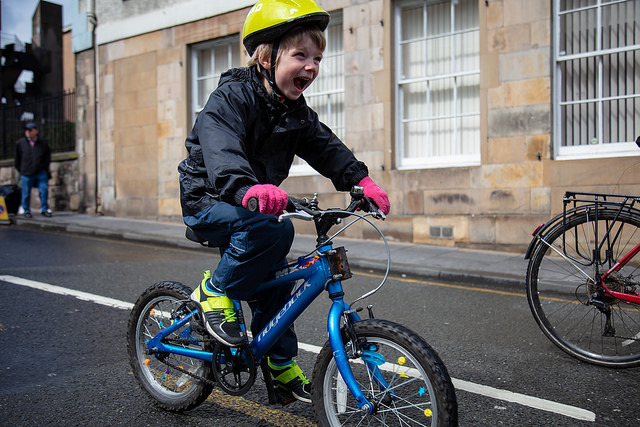 For a start, even a doubling of the budget isn’t enough to reach the 10% of the transport budget that public health experts have asked for – and which is needed if Scotland is to reach its own vision of 10% of journeys by bike by 2020 (which isn’t very far away!) While we’ve been grateful to the Transport Minister for his political leadership in getting that spending decision made (we even made him a cake!) we need to be sure that there’s no backpedalling, and that indeed the spending commitment continues to rise over the medium term. Just as importantly, the spending we do have is still sometimes being wasted on sub-standard infrastructure, and is facing serious political backlash from a noisy minority. 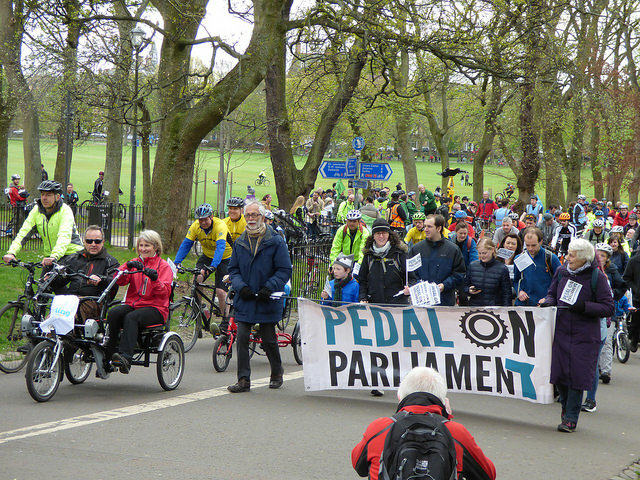 We need to get out there in force to show the powers that be that cycling can and should be for everyone, from kids on balance bikes to roadies in lycra, people with disabilities, families, older people – anyone who just wants the freedom to get about on two – or three wheels. The huge variety of people we see at PoP every year makes that case as powerfully as the sheer numbers. So 2018 is as important a year as ever. Over the past six years, together we’ve made a huge difference to the way politicians think about cycling and the funding that’s available. But if you look around you and ask if your streets, your town or city, your everyday trips are safe enough for everyone to cycle on – the answer still has to be no. We want to change that. So join us. Together we will make Scotland a cycle-friendly nation. 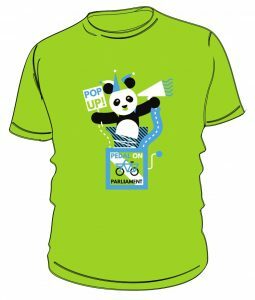 ← POP 2018 – Can you help?